For today's design spotlight, I wanted to take a look a this great minimalist card created by Creative Director Verna Bhargava and her team. 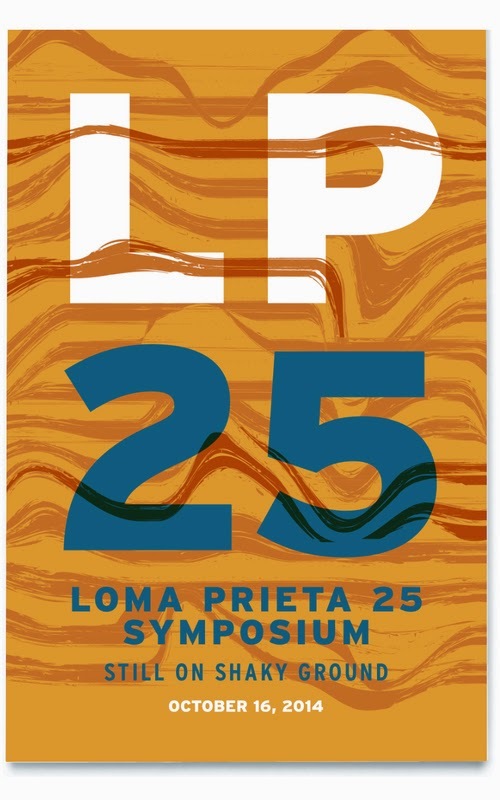 Their objective was to design something that encouraged people of various disciplines and backgrounds, everyone from scientists to artists, to attend a symposium about the 1989 Loma Prieta earthquake. I'd say they succeeded. The postcard brilliantly merges science with design. 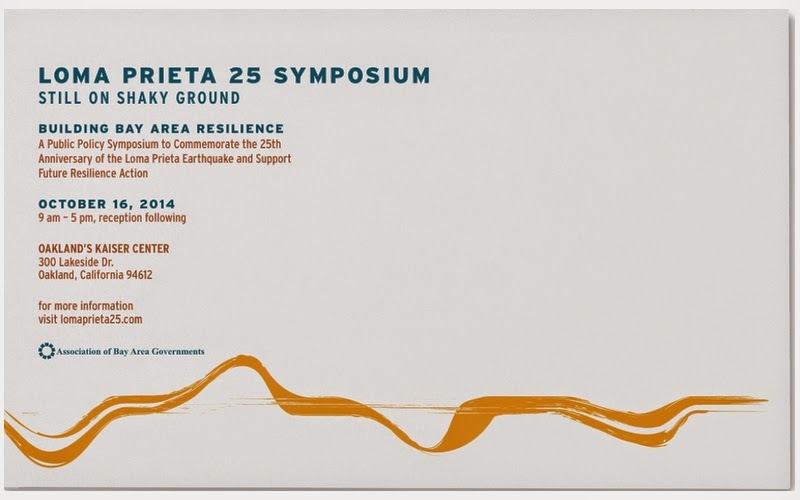 The winding curves covering the main side of the postcard are a clever nod to the Richter scale. And by using a textured brush instead of uniform solid lines to create the waves, the viewers mind is able to treat the shapes more abstractly. It's like looking at a cloud - everyone's going to interpret it a little differently. When I look at them, my mind conjures up images of shaky mountains and collapsing roads. It's not pleasant imagery by any means, but it's exciting and it lends a sense of urgency to an event that occurred 25 years ago. The back of the postcard demonstrates just how confident these designers are. There's only one bold brush stroke. Everything else is text. But you know what? It works. It's aesthetically pleasing, it draws the eye, and it makes a topic some might find mundane interesting again. Kudos to Verna and everyone involved. Interesting side note: As if this great design wasn't enough to motivate people to attend, Mother Nature decided to lend a helping hand - Verna and her team launched this project 1 day after California was hit by a 6.1 earthquake. 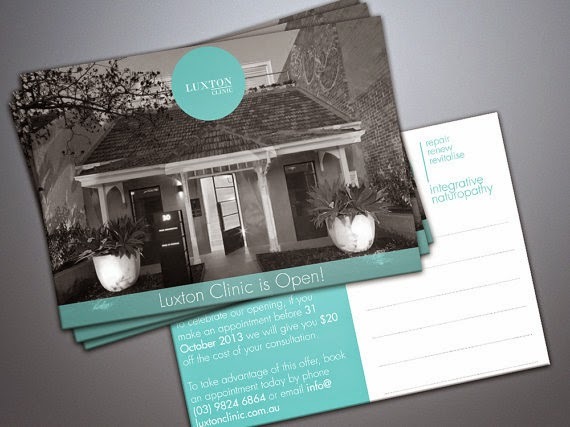 Do you have examples of a great postcard design? We'd like to see them! Simply use the Comments feature of this blog and let us know a little about your project -- we'll respond with how to send your images to us. Thank you! We're all about promoting good design and the designers that make it happen. This week, that's led us to the postcard designs of Susan R. Kirshenbaum and her design firm Cherry Tree Creative. Yes, the design work is tops. But we also like the considered and deliberate approach that Cherry Hill takes. It reminds us of the dozens of choices -- and decisions -- that go into producing a design that works in the marketplace. 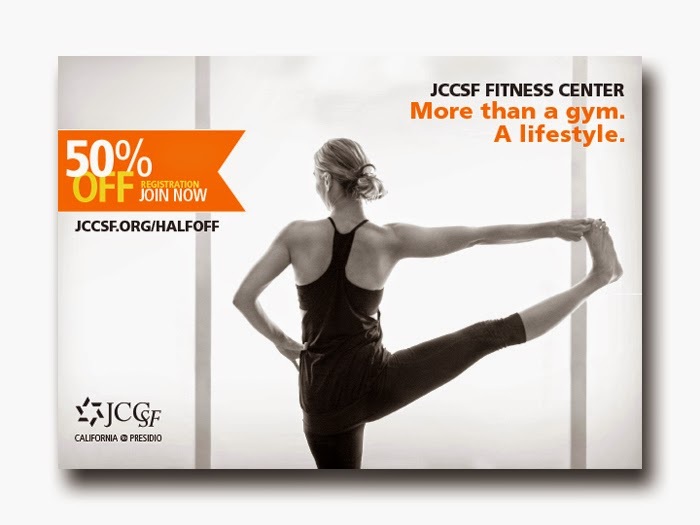 The postcard design for JCCSF Fitness Center is created, as the designer notes, to stand apart from the "hard sell fitness membership offers and appeal to those looking for a more thoughtful, healthy individual lifestyle." One way to stand apart is to use a tranquil, black and white image. The layout also makes good use of white space and goes easy on salesy copy. You feel rejuvenated just looking. 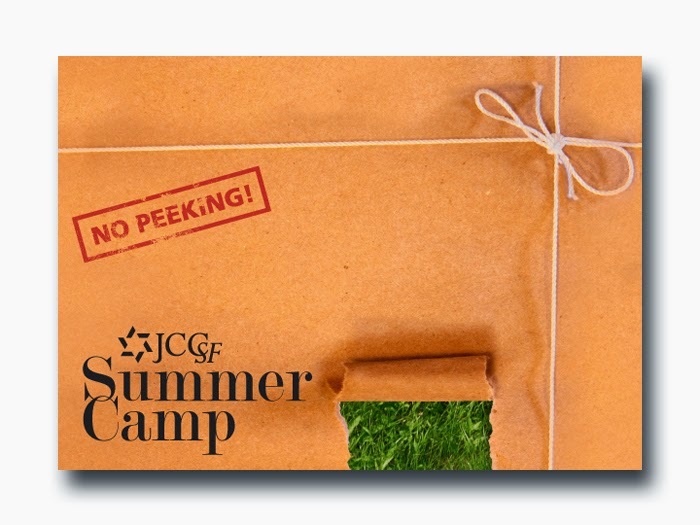 To promote the JCCSF Summer Camp, Cherry Tree designed a series of postcards to create a sense of curiosity and anticipation to announce the coming camp season. The postcards are presented as a teaser series where each card reveals a bit more than the previous one. 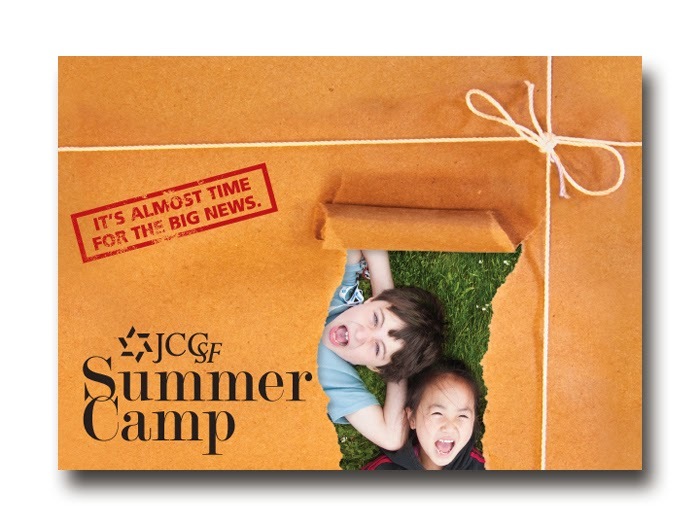 Curiosity, anticipation, discovery, fun -- the elements built into the postcard design -- are exactly the features most moms and dads are hoping fill their child's summertime. 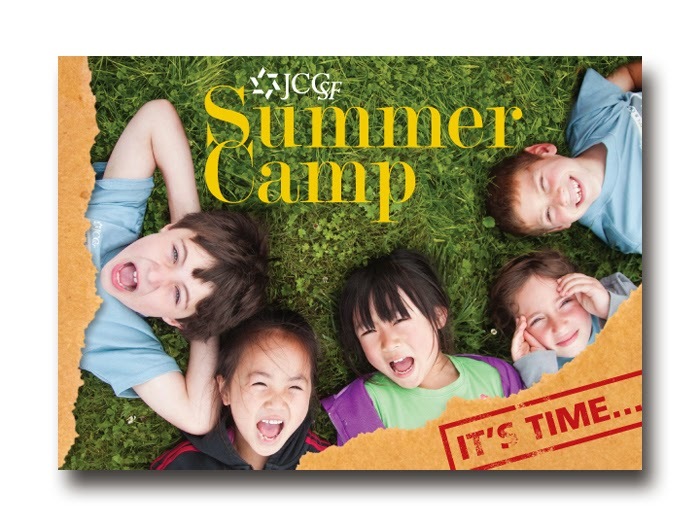 If the purpose of the postcard is to remind parents of the coming camp season, and to drive those parents to the camp website for details and registration, then this postcard series hits the mark. If you boil down all the elements that go into designing a great postcard, what do you have when you lift the lid? You have a postcard that can change your mind. 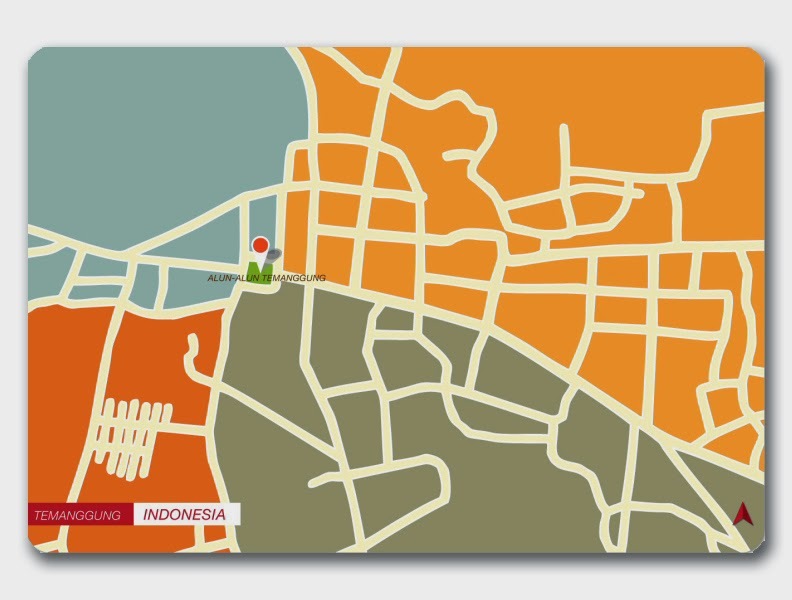 And when I came across a series of postcards from Indonesian designer OJANTO WORK, that's exactly what happened to me. 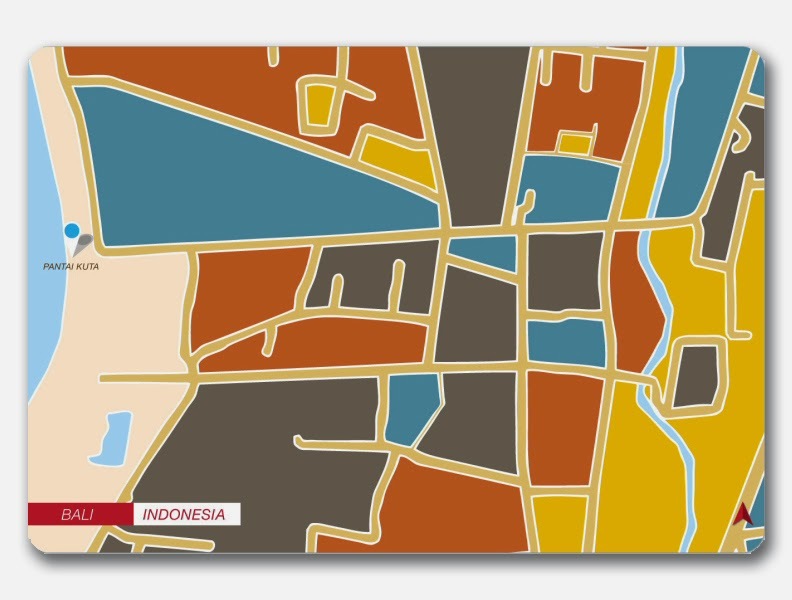 The postcards are maps of various cities throughout Indonesia. 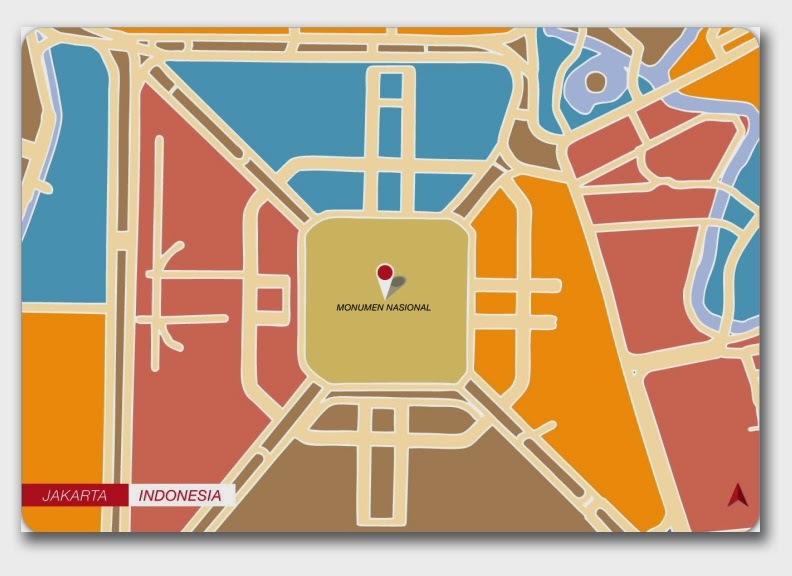 Ojan states that each card is designed with colors and perspective that reflect the uniqueness of the city it represents. 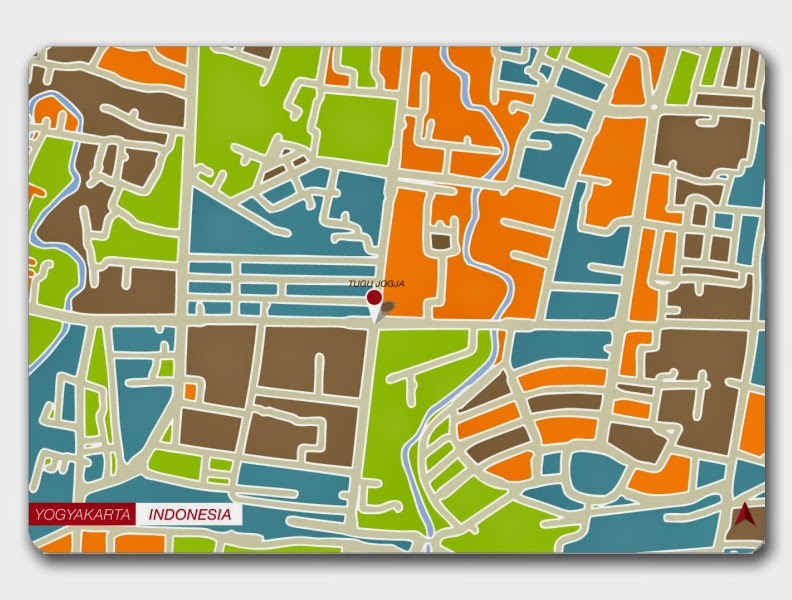 Perhaps I'm drawn to the maps (guess I'm a closet map lover). And I'm definitely attracted to the bright colors and bold lines. I like the innocence of the graphics and the professional crispness of the execution. I see the influence of textile design, and palettes of colorful inks being pulled through a screen. Ojan wonders if the designs might help convince someone to come visit a vast and varied country. It's easy to see why this great postcard designed by April of Drop Designworks caught our eye. It's cute, clever, and most importantly, it's clear what the message is. On the front of the card, I love how April effectively conveys two messages by simply inverting the colors. It causes us to read the headline in two different ways, without being confusing. 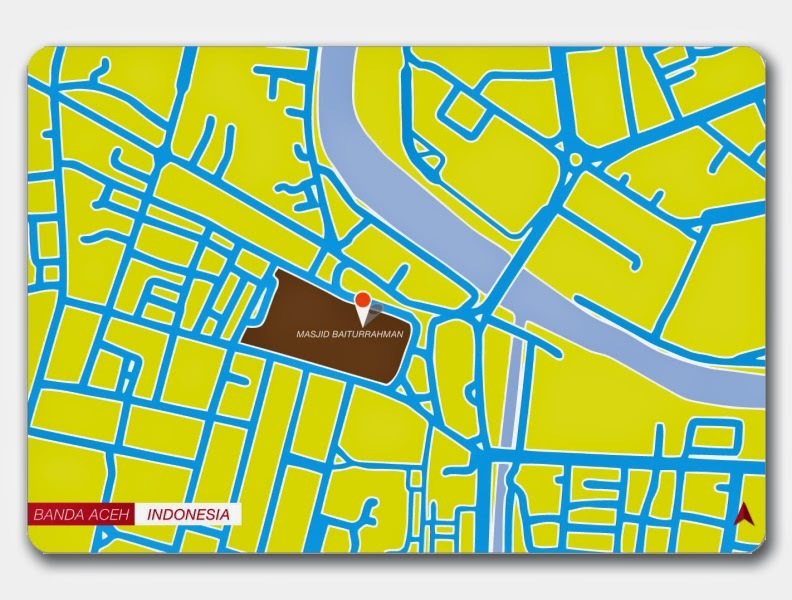 This creative approach saves space and prevents the postcard from appearing cluttered. The use of a textile texture is also a subtle but brilliant touch. 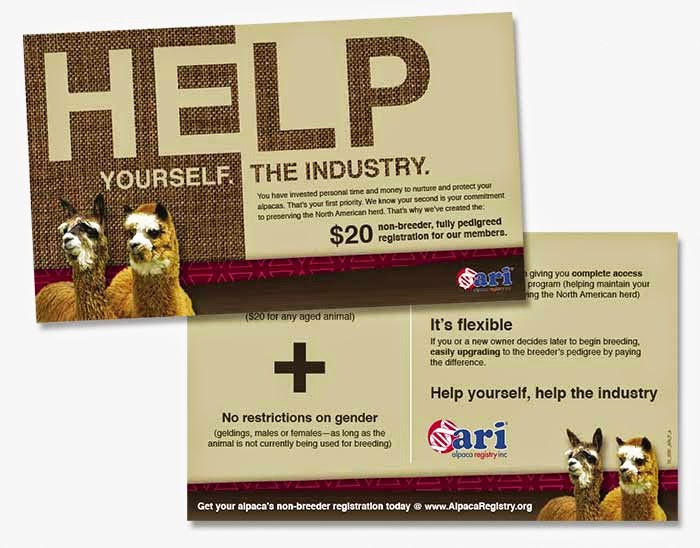 It's interesting visually, and it's a clever nod to the fact that alpaca are commonly used for their fiber. It's great when a design is interesting to look at, but it's even better when that interesting design is intrinsically tied to the subject matter. The card also excels from a visual hierarchy standpoint. The information is conveyed efficiently thanks to prominent headlines and sparingly used copy. The sponsoring organization is clearly presented, and there's just enough whimsical imagery to keep the card playful without losing a sense of professionalism. Overall this card definitely gets our seal of approval. Great job, April! What makes postcard designer ZeusVintage noteworthy is the web platform they use: Etsy. 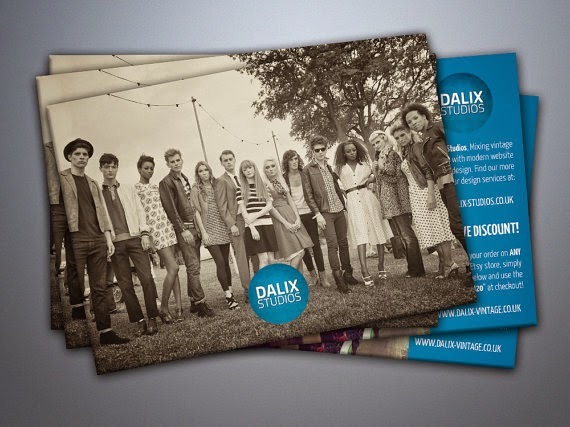 The Doncaster, England designer creates custom postcard layouts for hire, or "bespoke postcard design" as they say. And if their web examples reflect the typical fair, then we'd say 'thumbs up'. The Etsy platform is traditionally used by artisans and craftsmen, but not so much by print designers. The selection of Etsy reflects a trend where print designers are looking for new ways to promote themselves digitally, and web platforms like Etsy are happy to accommodate them. Recently, Amazon has started promoting local businesses and now offers plumbers and electricians. For Amazon, print designers and graphic artists are not far behind. As designers 'break out' of the traditional web platforms, one wonders if this is an experiment that will stick. The months ahead should prove interesting, as ecommerce continues to re-invent itself. Copyright (C) 2015 Corporate Signatures. Simple theme. Powered by Blogger.